No one ever said crimping was easy, but like most things, practice makes perfect. 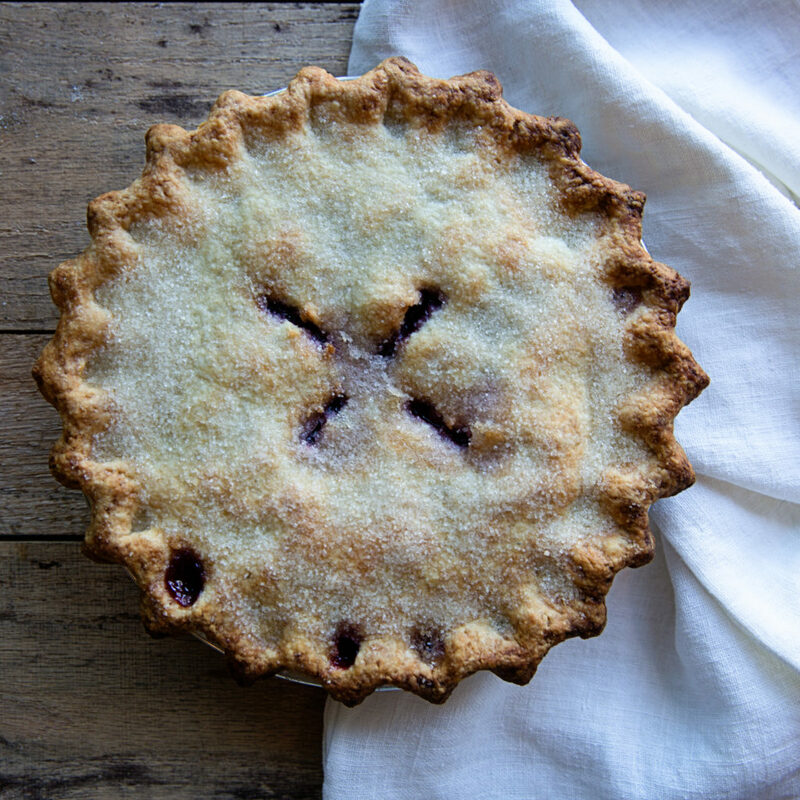 Here are a few tips to help you as you improve your pretty pie skills. 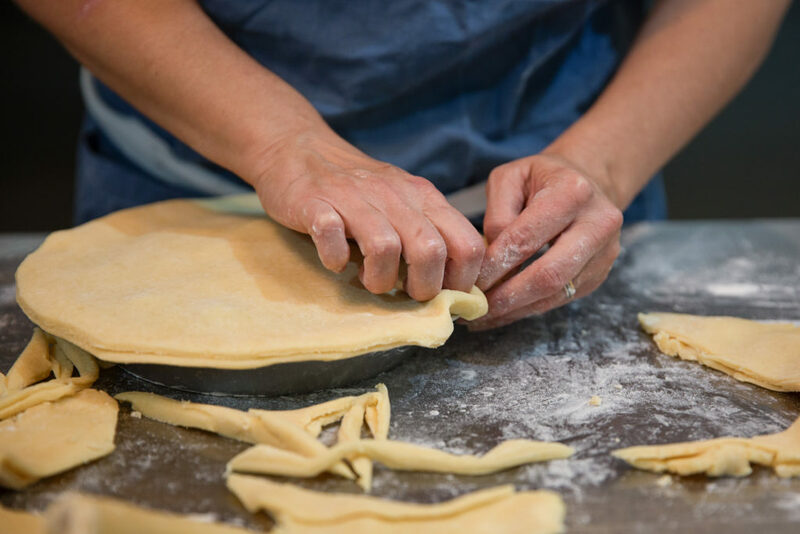 Making beautiful pies is not about perfection. It’s about keeping the butter cold while you keep it together. Leave some room in the freezer to chill the dough if it starts to warm up, relax and do your best. Sprinkle sugar over your pie just before baking for the sweetest result. 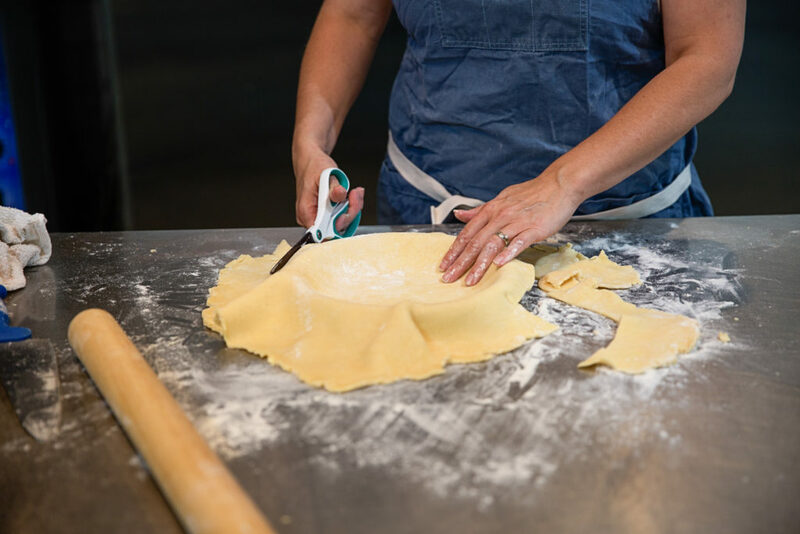 Roll out your dough at least 3″ larger than the opening of your pie tin. Your dough should feel as thick as two pieces of cardstock paper. Fill the pie with your filling. 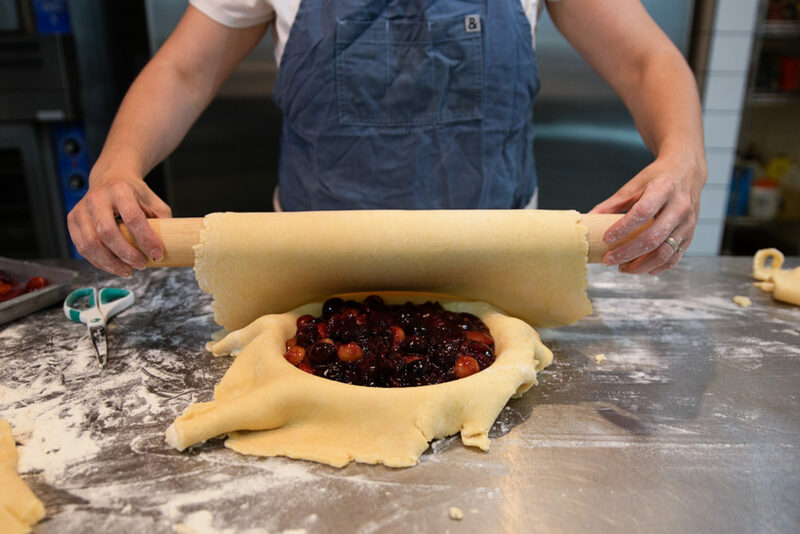 Roll out a second dough and, using a rolling pin, pick it up in one graceful motion and deposit it over the fruit. 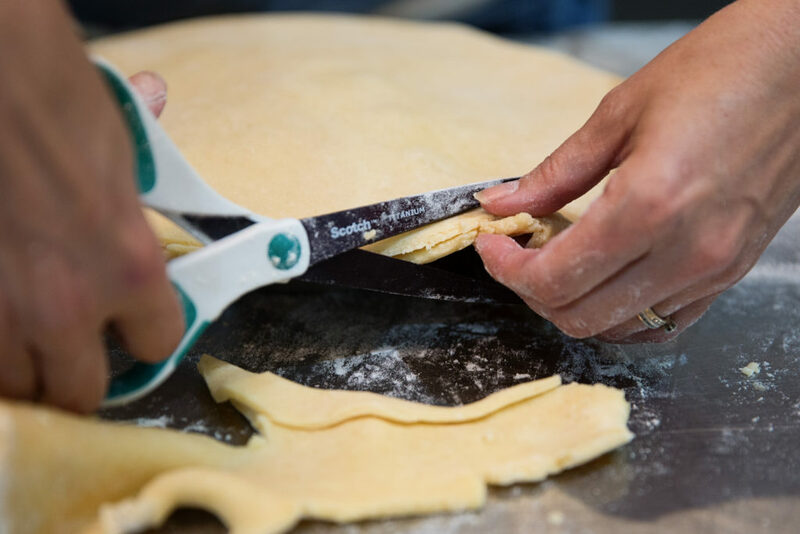 Grab your favorite pair of scissors and cut the two pie crusts together, leaving a 1/2″ overhang over the edge of the pie tin. Pick up the two crusts and fold them under together, letting them rest on the lip of your pie tin. 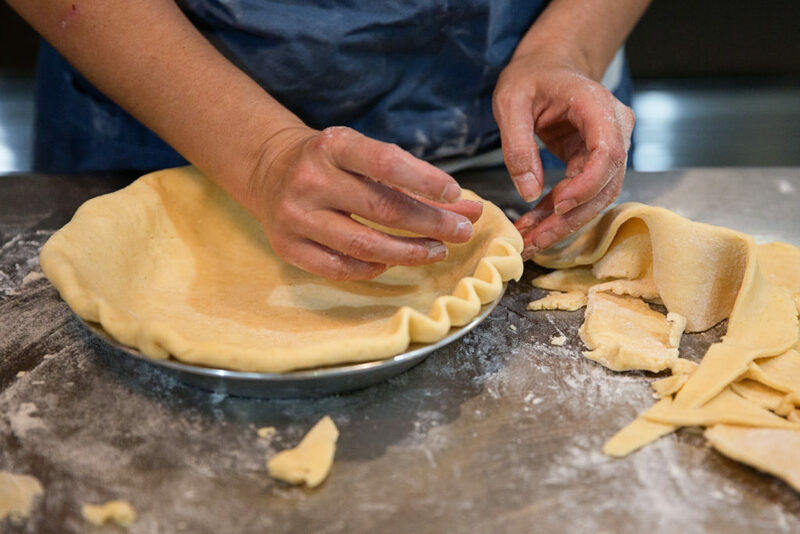 Take your thumb and index finger from one hand and make a v-shape with them with the opening of the fingers opening to the outside of the pie. 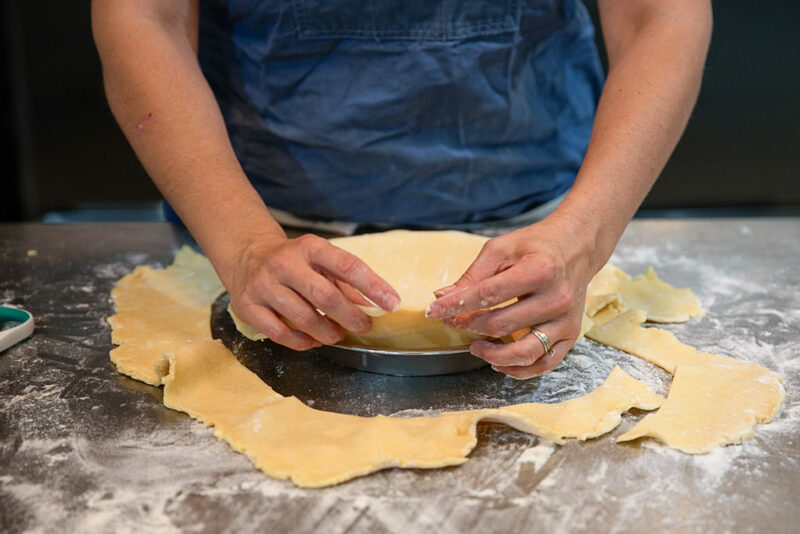 Push the index finger from your opposing hand through the v-shape (going towards the center of the pie). 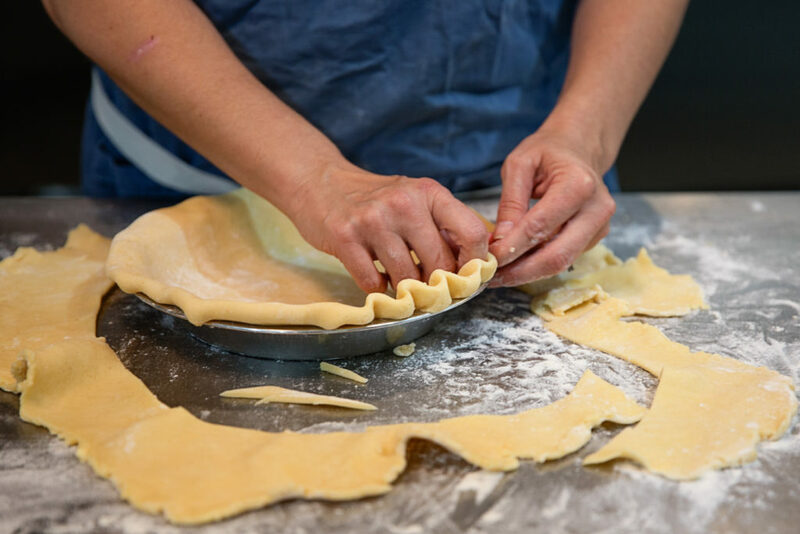 Continue the crimp all around the pie. Flour your fingers if they get sticky! 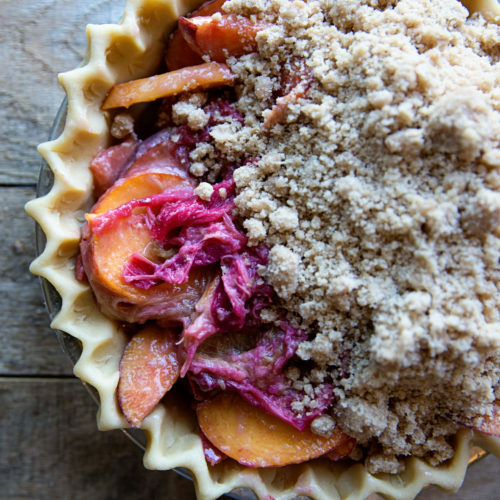 Freeze the pie for at least 30 minutes (or up to a month)! for best results. Preheat oven to 425F. Brush the top of the pie with whole milk. Dust liberally with organic (unbleached) sugar and bake for 20 minutes. Turn the heat down to 375F and bake another 20-25 minutes. 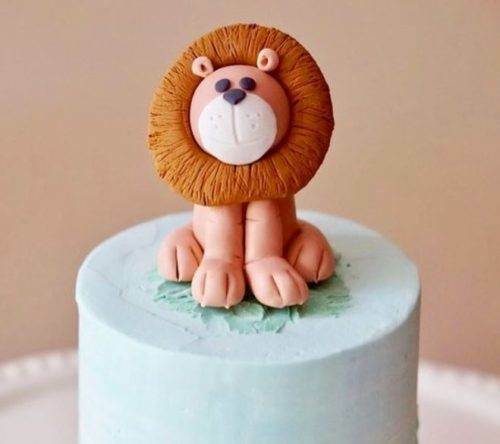 Cool for at least an hour before cutting.